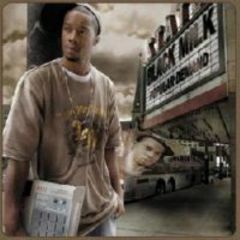 Though 2005 saw Black Milk release Sounds Of The City he then signed to Fat Beats, making Popular Demand his official debut. Recalling the late, great J Dilla in its looped soul melodies and hollow beats, Popular Demand signals a welcome return to grass roots hip hop. Featuring a whole host of local Detroit heavyweights from Slum Village to Guilty Simpson, producer/MC Curtis Cross has delivered an intelligent record with tight beats and easy-flow rhymes. After a slow start with the title track, Sound The Alarm is an early highlight with its slow crunching beat and reverberating baseline. Guilty Simpson's deadly serious delivery bumps hard alongside Black Milk's layered production which loops perfectly around the beat. The tempo is stepped up for the next track Insane, a jumped-up, intricately constructed beat that backs up Black Milk's effortless flow. Popular Demand is a well paced ride with frequent instrumental interludes like the expertly crafted, sample heavy Play The Keys and slower rhymed cuts like the soulful Three+Sum allowing welcome relief from the big beats of tracks like the album highlight Watch 'Em. Here Que Diesel and Fat Ray create a glorious piece of hip hop fitting each rhyme into the rolling, hand-clapped beat with its stop/start confidence that just keeps on bumpin. There has been much talk about this young talent filling the shoes of fellow Detroit mastermind Dilla and this album shows him more than capable of carrying this mantle. In fact Cross seems more comfortable in front of the mic than Dilla did sculpting his production perfectly to fit his rhyming style. Following in the footsteps of bigwigs like Jay Z or Kanye West and younger MC's like Lupe Fiasco Black Milk is the real deal and this record continues Detroit's underground hip hop pedigree.